Rising songwriter-artist Chris Housman has received the inaugural Todd Givens Memorial Scholarship from the Nashville Songwriters Association International. Originally from Hanston, Kansas (population: 200), Housman taught himself to play the fiddle at age seven. Singing followed, which led to the formation of a traveling family Bluegrass/Gospel band, opening for major country acts, and fronting a punk rock band. 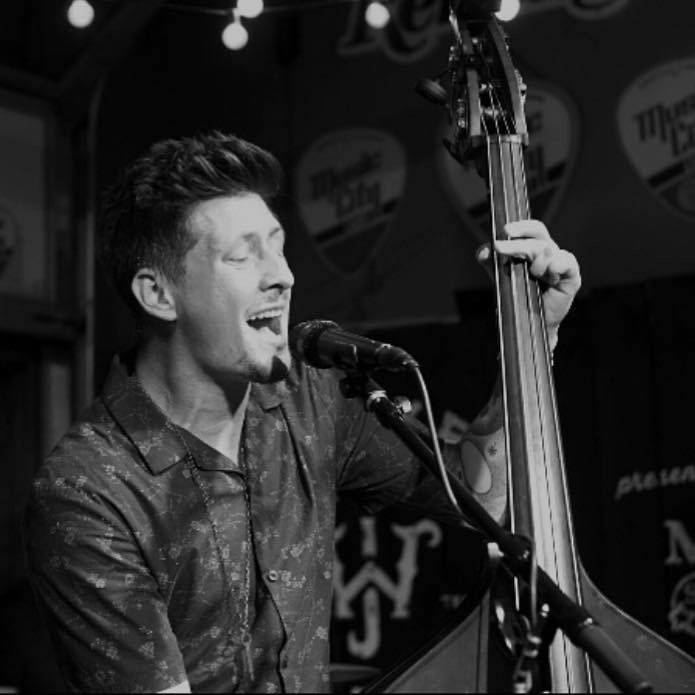 Since attending Belmont University, he has been actively writing songs and performing (upright bass and vocals) around the country while touring colleges. Todd Givens was the head of NSAI’s tech department and unexpectedly passed away on Feb. 27, 2018. Givens was involved with the Screamin’ Cheetah Wheelies, and the Eric Hamilton Band for many years. Band members and front men Mike Farris of the Wheelies and Eric Hamilton have agreed to help mentor Housman and future scholarship recipients.